That’s what a French entrepreneur, who’s made millions by connecting engineers with industrial groups, is pitching to Boeing and others. 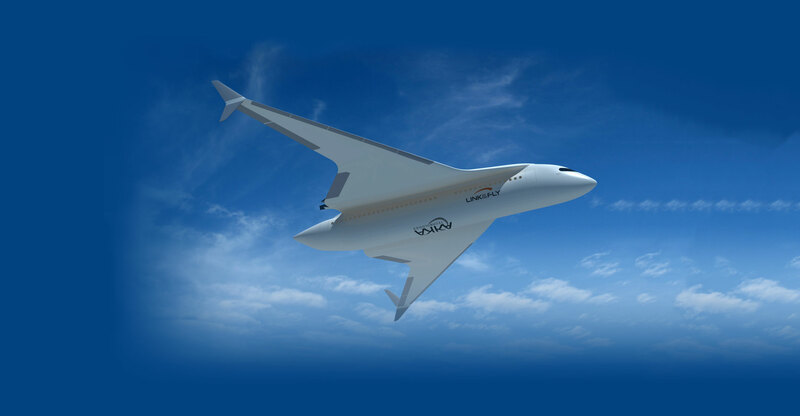 “Link & Fly” is Akka Technologies’ new flagship aircraft design, with wings that come off to hasten turnover at airports and make boarding easier and closer to passengers’ homes. “After cars go electric and autonomous, the next big disruption will be in aeroplanes,” Akka’s CEO, Maurice Ricci, said in an interview in Paris. Boeing is among prime customer targets for Akka, as it seeks to limit its dependence on the likes of Airbus and Renault in Europe. With Akka’s futuristic concept, passengers would board a train-like tube at a neighbourhood station and have their retinas scanned for security during the ride to the airport. Wings would then be attached to the pod for take-off. The company has showcased the idea in a 3D mock-up video, gathering interest from potential customers in Asia, Ricci said, without naming any company. Plane makers have begun to react as technology companies come up with disruptive ideas — from Uber’s investments in flying taxis to Kitty Hawk, a start-up backed by Google’s co-founder Larry Page that’s creating a battery-powered single-person plane. Airbus took the offensive with a new division to oversee transport of the future, while Boeing has made a noisy foray into jetpacks. While Akka’s not banking on convincing a plane maker to necessarily build the entire “Link & Fly” concept, it’s betting on the design to be an attention grabber and a showcase, parts of which are likely to end up in customers’ commercial aircraft down the line. For plane makers and the companies gravitating around them, Asia, and especially China, offer opportunities for new business. Chinese plane builder Comac is developing its own fleet, and could turn to the European aeronautics ecosystem for technology partners. Akka, which has a market value of €1.1-billion and whose biggest shareholder is Ricci, employs engineers that customers can hire on a project basis as consultants. The company developed an autonomous car concept in 2008 and in 2014 partnered with Dassault Systemes to offer services to car makers. The stock has risen about 23% this year, multiple times the 1.8% increase in the benchmark CAC 40 Index and a matching jump in the broader SBF120 Index. Similar to Airbus’s A320 jet in size and target usage, the Akka Link & Fly carriage for short-range flights carries 162 passengers and the seats can be taken out to move freight instead. With the wings clipped on, and the engines fixed on top, the design has wingspan of about 49m, is 34m long and 8m high.